Kids come along for the ride as Eddie, Aunt Zoe and their dog take off on exciting camping adventures! 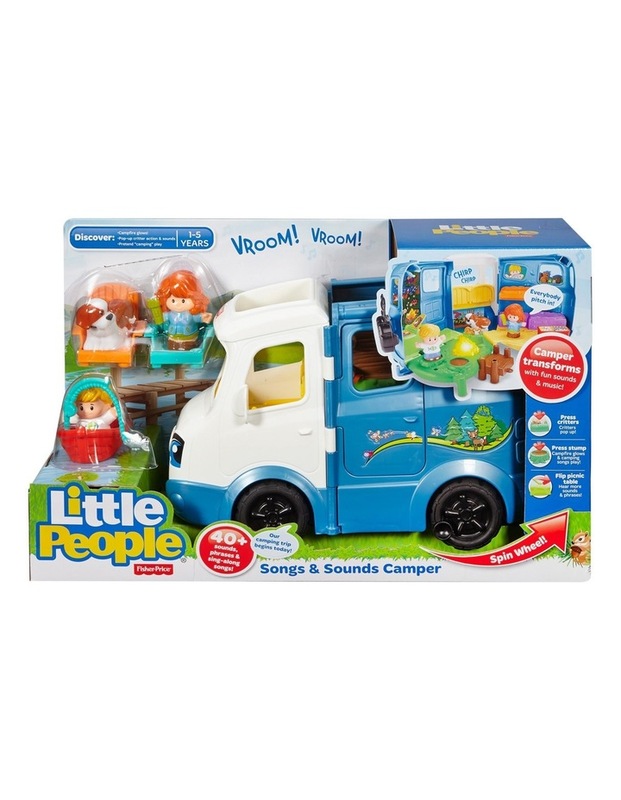 Little ones hear fun sounds and a camping song as they roll the Little People Songs & Sounds Camper along. When they open it to set up camp, theyll activate more sounds, phrases and sing-along songs.